You may think that receiving an unexpected inheritance is the answer to your prayers, but that may not be the case if you have already filed for bankruptcy. Some of your inheritance money could end up going to your creditors if you have filed for Chapter 13 or 7 bankruptcy. What happens to your newly found money depends a lot on timing. Your bankruptcy estate includes everything you have the right to possess, plus everything you already possess. Once you file for Chapter 7 bankruptcy, the trustee of your bankruptcy gains legal control over your entire estate. Chapter 7 differs from Chapter 13 because during a Chapter 13 proceeding the trustee of your estate liquidates all of your assets and the money gained is used to pay off your creditors. In the case of an unexpected inheritance, the money will usually be considered part of your estate. That means that a Chapter 7 trustee can use that money to pay off your debts. But, there are some exceptions to this rule. Six months (180 days) is the number that decides the fate of your inheritance. This date is calculated from the date of the death of the person who left you the money, not the date you receive the money. That means that if you filed your petition for bankruptcy within 180 days of the death of the person who willed you the money, your inheritance would be considered part of your estate. The 180-day rule applies for six months after you file your petition as well. When the person dies within this time period, your creditors will have a claim on the money you inherited. That means, if the person dies at least 181 days after your petition is filed, you will get to keep your money. Whether you have filed for a petition for Chapter 13 or Chapter 7, you are obligated to report your inheritance to your bankruptcy trustee. Being named in someones will does not have to be reported, however. Just being named in the will doesn’t necessarily give you a legal right to the money, since the person could make changes to their will at any time. When you file Chapter 7, some exemptions are available to you. There are certain amounts of assets and property that your trustee is not allowed to use for paying your creditors. That means that if the amount of money you inherit is lower than the exemption amount in your state, you will be able to use the exemption to keep it. You could also choose to take advantage of federal exemptions instead. This can be beneficial if the amount of the federal exemptions is larger than the exemption allowed by your state, but you can only do this if your state allows it. Some assets can’t be liquidated at all so you won’t need to claim an exemption to keep them. If your money was left to you in a trust, rather than a will, it is safe from liquidation and is not considered part of your bankruptcy estate. The rules of a Chapter 13 bankruptcy differ greatly from Chapter 7. Your Chapter 13 plan will require that you enter into a multi-year plan to pay back at least some of what you owe to your creditors. That means you won’t lose any of your belongings to liquidation unless you don’t keep up with your payments. You should be aware, though, that your bankruptcy trustee may choose to consider your inheritance as part of your payment plan. If you receive a large sum of money, your payments to your creditors could be increased, and the 180-day rule may not apply. 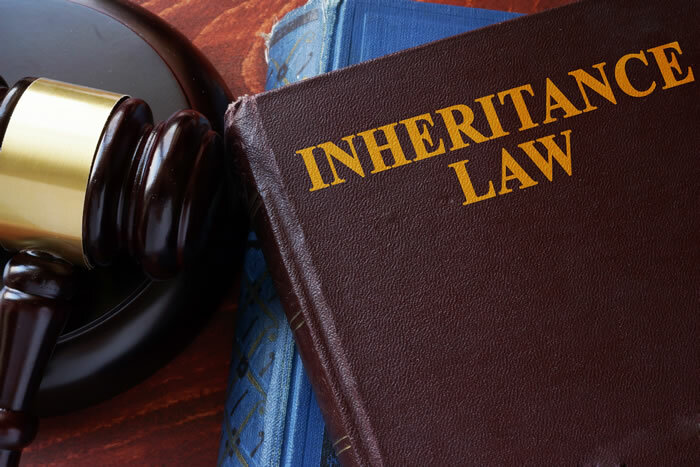 If the money in question is inherited by your spouse, and they didn’t file for bankruptcy with you, the inherited wealth is not considered part of your marital property or bankruptcy estate. Be careful of mingling your assets though, because that could cause you to lose the separate status. The best course of action is to talk to your bankruptcy attorney right away if you inherit money or property during the 180-day time period. They will be able to help you protect your inheritance.